Commercial Fishing is where it all began for Jones Family Farms and grew from there. After receiving a boat from a friend, the owner, Nick Jones, started selling fish off the boat to friends and family and neighbors, then soon to stores and restaurants. Soon after Sara began helping in the business and the company flourished. In 2009 they sold their permit because of increasing family responsibility and a patch of poor fishing. While they no longer fish, they still work with friends to supply top quality Northwest seafood to all customers. One of their specialties is Singling Pink Scallops. 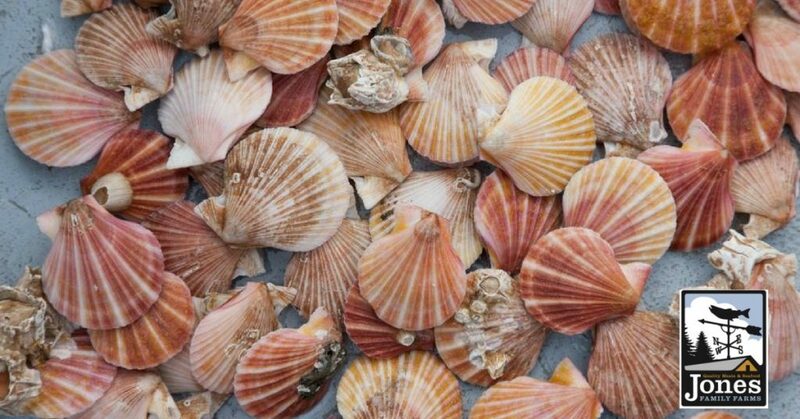 Currently, Jones Family Farms is the only farm harvesting the shellfish and they are supplying Pink Sings Scallops at 45 different locations around the Puget Sound! Pick up Jones Family Farms Clams, Ling Cod, Snapper, Dover, Smoked Salmon,Smoked Black Cod, Singing Pink Scallops, Halibut, Salmon and more at your Orcas Island Market!